Spring is a time that gives you a new hope and you prepare yourself for the upcoming CNY. This is also a time when you get into festival mood and you spend your time with your friends, family and loved ones. During the CNY a lot of guests can also come to your house and you would always want to give a comfortable and healthy environment to them. That is why before CNY, you may start the spring cleaning work and that is a good thing to do. In this spring cleaning work sometime people ignore the cleaning of their aircon and because of this mistake many people get old and rotten smell in their home. To avoid this error it is strongly recommended that you do spring cleaning of your aircon as well for the CNY along with cleaning of other things in your home. But if you are unaware about how to spring clean your aircon for the CNY, then you don’t have to painc for that. 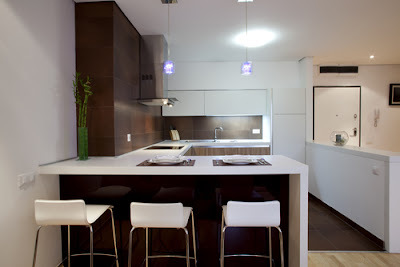 We have few basic details or opinions that can certainly help you in this requirement with utmost simplicity. These are few things that you can follow for better spring cleaning of your aircon for the CNY. Clean the filter: The air filter of your aircon is one of the most important and essential part of your aircon and you shall do the cleaning of this filter as well in spring cleaning work. 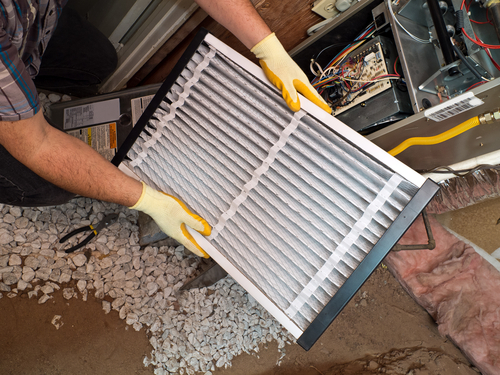 Ideally, you will need to replace the filter instead of cleaning it because cleaning may not give optimum result to you and some dust and dirt particle may remain inside the old air filter. 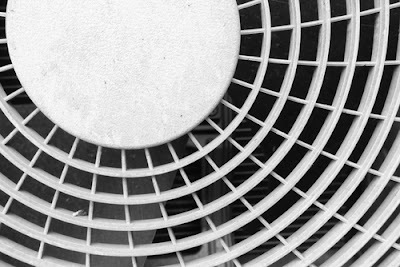 That minute deposition of dust might affect the performance of your aircon. At the other hand if you would replace the filter instead of cleaning it then you will not have this kind of worries in your mind. Also, replacing the filter will certainly take less time compared to cleaning. If you are doing spring cleaning work for CNY, then you may not have enough time in your hand and that is one more reason to replace the filter with a new one instead of cleaning it. Clean the tray: Many time people ignore the cleaning of their aircon tray during spring cleaning for CNY. When you do the spring cleaning work, then you shall pay attention on the cleaning of your tray as well. Many time people ignore the cleaning of this collecting tray and over a period of time it starts giving a bad smell in your house. To clean the tray you can use some special cleaning agents that can remove all the deposition with ease. This precaution will help you have better experience in the cleaning part and you will be able to have good outcome in easy ways for your CNY spring cleaning. Clean the pipe: This is another important thing that you need to do for spring cleaning of your home before the arrival of CNY. To clean the duct pipe of your airocn, you can use some special cleaning agents that can dissolve the clogging and deposition in your aircon. Cleaning of this pipe is really important because deposition of water becomes a nesting place for many microbes and those microbes gives really bad smell in your home. By cleaning this pipe you can get the best output and you will be able to have really good result as well with your spring cleaning work. Clean the compressor: It is true that you cannot clean the compressor by yourself, and even an expert will never do that unless it is really necessary. But you can always do the external cleaning of your aircon compressor and this external cleaning will also give better result to you. If you notice there are some dirty stuff next to compressor of your aircon, then you shall include its cleaning in your spring cleaning work. I am suggesting this because if that stuff will start giving a bad smell then it will certainly give a bad smell in your home as well. Other than this, you can clean other deposition on your aircon compressor and you can have better cleaning for your CNY. Clean it from inside: I am not asking you to rip the aircon apart and then clean it from inside, but you can just open the cover and you can check if there are any deposition of dust, dirt, mites and other small bugs in it. If you have not done the cleaning of your aircon since a while then I am sure you will see this kind of deposition in your aircon. You can get the information to open the cover from its manual and you can easily open the same using basic tools. Call an expert: You can always to above things as your spring cleaning work and you can welcome your guest at CNY, but if you notice any kind of performance drop in your aircon, then you shall call an expert for same. An expert can identify the cause of performance drop and it can also help you get rid of the problems that you have in your aircon. In some cases, you may not be able to clean few part of your aircon and an expert can do that also for you in easy ways. So, I can say this is one of the most important things that you need to do in your aircon at the time of doing spring cleaning work for CNY. In addition to this, it is also extremely important that you take all the necessary precaution while doing this cleaning work. That means you shall turn of the power and you should remove the power cord from socket. Also, when you touch anything for cleaning, then you need to use proper protective gears to avoid any kind of infection in it. Other than this you also need to choose the cleaning time wisely so you can get the best outcome with this spring cleaning work and you can welcome your guest on CNY in the best possible manner.